Football season’s here, which means it’s tailgating time. And for many of us, no tailgater is complete without a few cold, tall beers—the Florida heat can last well into the football season, and what could taste better on a hot day spent outside in the sun? If you’re 21 or over, go ahead and indulge (within reason)—but be careful where you go with your drink. While drinking on campus is legal on game day, the city of Gainesville still enforces its open container laws, game day or not. So carrying your Bud off campus and down University Avenue can land you with a civil or criminal citation. So What Is An Open Container Violation, Anyways? Basically, an open container is defined as any unsealed container of alcohol, such as a cup or opened bottle. Most communities, including Gainesville, strictly regulate where and when you can consume alcohol in public. Drinking in licensed restaurants or outdoor events with permits to serve alcohol is fine. Chugging a beer while walking down the street or sitting in a public park is not. In particular, drinking on right-of-ways such as sidewalks can get you into trouble fast. Open container violations in Gainesville are typically considered civil infractions. However, officers can issue criminal citations if you’re acting hostile or aggressive towards the officer or others, attempt to conceal evidence, refuse to sign the civil citation, or have a previous criminal record or open container citation. Moral of the story: To stay out of trouble when drinking on game day, stay on campus. And if you do decide to take a stroll through Midtown, remember to leave your drink behind. 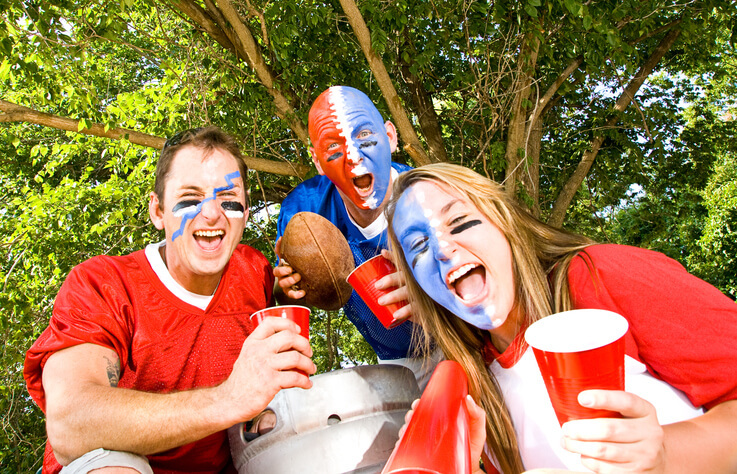 Another thing you should know: Contrary to the popular urban legend, underage drinking is NOT legal on campus on game day. Sure, when everyone else is drinking, it’s tempting to join in the fun, but if you’re under 21, don’t. Campus police still enforce drinking age regulations—and if you’re underage and caught violating open container laws, you can face additional penalties. Don’t let an open container violation ruin your game day—or worse, your personal and professional reputation. If you find yourself in trouble for drinking in public, you need an experienced defense attorney with a deep knowledge of Gainesville’s open container laws. Call Adam Stout—as a former prosecutor, he knows how both sides think and knows what it takes to build the best defense for you.